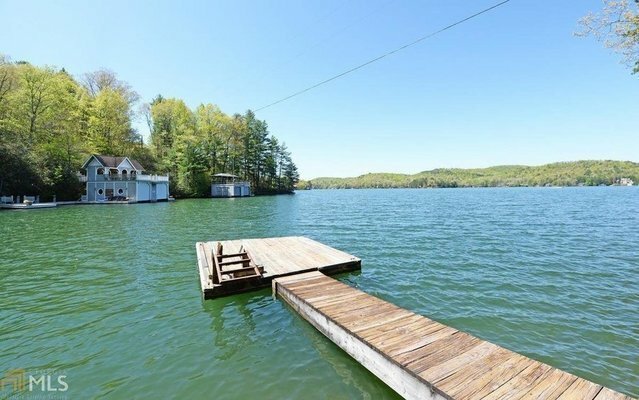 This is an excellent opportunity to have a premier lot in an area with exceptional homes on Lake Burton. Great location, large lot, peaceful cove, and long lake frontage near big water make this property a must see for new construction. Vintage retaining walls and paths add an old lake charm to the site.The existing home and boathouse has no real practical value, as they are older and outdated and will be torn down by new owner. The current improvements are well above the project boundary so new construction can be much closer to the lake. The shoreline is more than 250' in length with a stone seawall already in place. It's just a perfect combination of location, size, and views! Well loved by its owners for decades it is ready for a new life and more memories.